Traditional Djurdjevdanski Uranak will take place Saturday, May 7 at St. Sava Serbian Orthodox Church in Merrillville, Indiana with official activities including services by Father Marko Matic, featuring blessing and cutting of the Slava Kolach, along with a traditional Djurdjevdan Banquet open to everyone. The event host will be the Organization Serbian Chetniks / Ravna Gora of Merrillville and the day signifies the slava of the Chetniks for the local chapter. 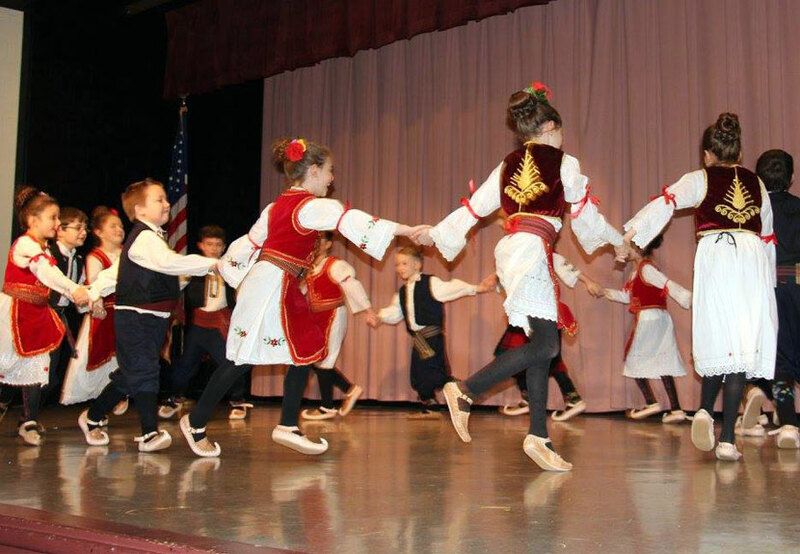 Danny Danilovic will be playing music throughout the festivities from 7:00 a.m. until 1:00 p.m.
Services by Father Marko Matic with blessing and cutting of the Slava Kolach will begin at 9:00 a.m. The traditional Djurdjevdan Banquet will begin at 9:30 a.m. The banquet can be attended by everyone and donations are collected. Traditional banquet dinner lamb/pork, sausage & sauerkraut, potato salad, coleslaw will be available. Pre-orders for lamb/pig by the pound will be available, but orders must be placed before May 4, 2016. Call Dusan Pejnovic at 219-741-1670 to place a pre-order. Pick-ups for pre-orders may begin at 10:00 a.m. Lamb/pig may also available for purchase by the pound after the banquet while supplies last beginning at 10:00 a.m. This special event at St. Sava Serbian Orthodox Church in Merrillville, Indiana is called “Uranak” because the start of the day begins as early as 4:00 a.m. with the preparation of meats for the barbeque. “Djurdjevdan” means “George’s Day” and it is a feast of spring, of new life, of joy, of renewal in nature, of awakening of new forces and of new life energies. In the Christian understanding, St. George is the knight on a horse, a Christian hero, who is a martyr for his faith and for Christ’s truth. He is iconed on a horse as the knight who slays the dragon. The dragon symbolizes the enemies of Christ’s faith, the godless ones against whom he is struggling, and through martyrdom and heroic death he is defeating. 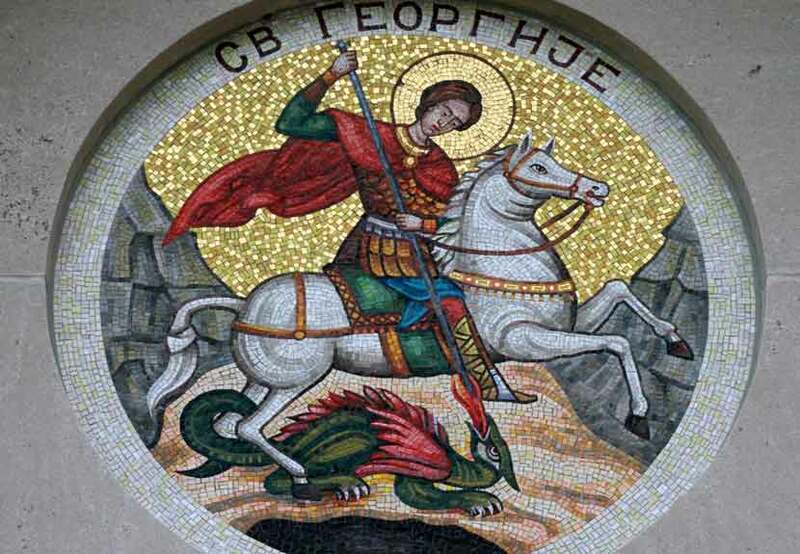 In the national understanding, St. George is God’s beloved saint who is fighting for the captive and the downtrodden, for the freedom of slaves and the freedom of Christ’s faith. Because of that, Djurdjevdan (George’s Day) is among the most endeared religious and national feast. Djurdjevdan has traditionally been a major celebration for ancestors in captivity, heroes and leaders, and the Chetniks. “Djurdjevdan Heroes Gather Together,” says a national song. They wanted to start uprisings and insurrections against the tyrants and conquerors. In the spring, in the warmer days “when the forest is draped in leaves and the dormant grass becomes green again” was their time to do so. Therefore Djurdjevdan throughout the history for the struggle of freedom the day has played a great role in national tradition, customs, folk songs, and religious traditions for the Serbian people. It has and continues as a day of hope, of sunlit joy and awakening national energies to resist the enemies of the Serbian people. Djurdjevdan means celebrations. Serbian Chetniks took this celebration Slava (Patron Saint’s Day) as their legacy for the struggle for freedom.